When I was in Paris 2 years ago, I wrote a post about my top tips for visiting CityPharma. 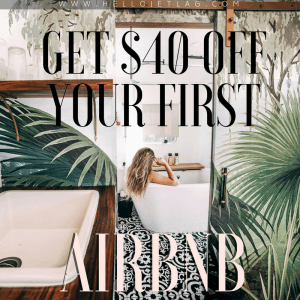 It included information about how to save the most money, what time to go and what you can expect, and it quickly became one of my most popular articles on this site. As a makeup artist, CityPharma used to be a well kept industry secret. 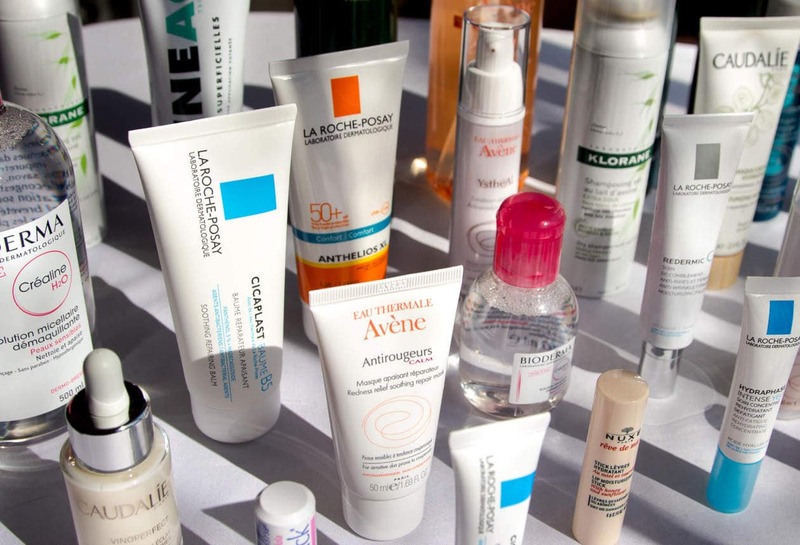 Well, the secret’s out, and the cheapest pharmacy in Paris is packed with tourists (and locals) snatching up the best deals on French skin care. I recently found myself perusing the crowded aisles of CityPharma once again (and doing a little more $ damage than I intended). I repurchased a few products but I also decided to try some new stuff as well. 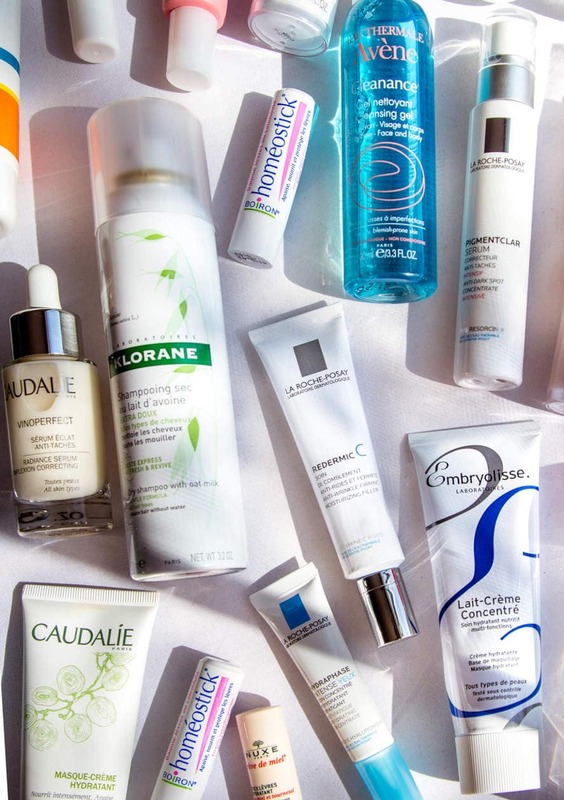 Keep reading for pics and info about the skin care products I bought, and check out the price comparisons to see how I saved almost $450 by shopping at my favorite French pharmacy in Paris. I’ve never seen a mask like this but it had my name written all over it. Sometimes my face randomly gets hot and my cheeks turn fire engine red. Cute. This mask is said to immediately relieve the warmth, redness and irritation in sensitive skin. It’s also supposed to be good for those who have just undergone laser treatments or other irritating facial procedures. Is anyone else annoyed by how expensive face wash is? Even a basic Neutrogena cleanser in the States costs $7 USD for a small bottle. I bought Avene’s Trixera Nutrition Nutri-Fluid Cleanser because the bottle is huge and it was only $8 USD. The cleanser is created for dry skin and it contains Avene’s famous magical Thermal Spring Water. 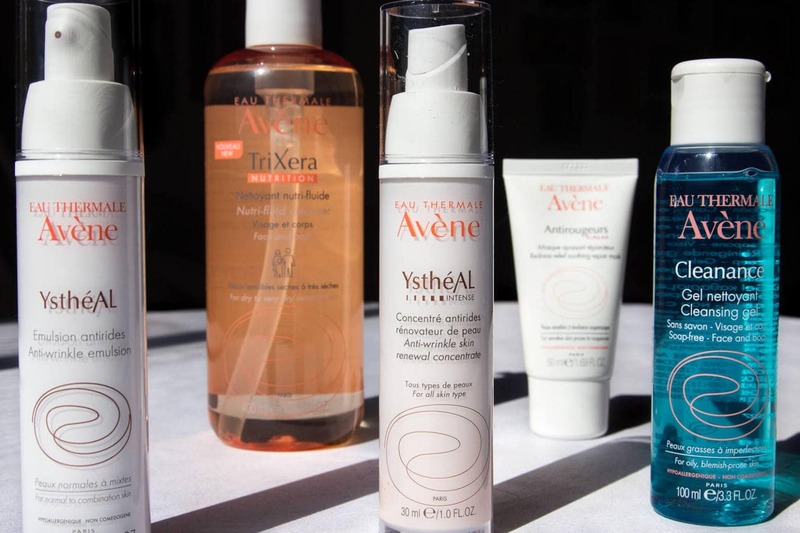 Avene’s YstheAL Emulsion is a light, fast absorbing moisturizer. I wanted the night creme but I since I can’t read French I guessed, and I guessed wrong. It contains Retinaldehyde, an anti-aging ingredient which to boosts cellular activity, G.G.O, an anti-aging lipopeptide that protects skin elastin, Pre-Tocopheryl, a cell antioxidant and of course, Avene’s Thermal Spring Water, for soothing and anti-irritation. A highly concentrated version of the YstheAL Anti-Wrinkle cream made into a serum. It’s said to match the wrinkle efficacy comparable to 3 peeling sessions. 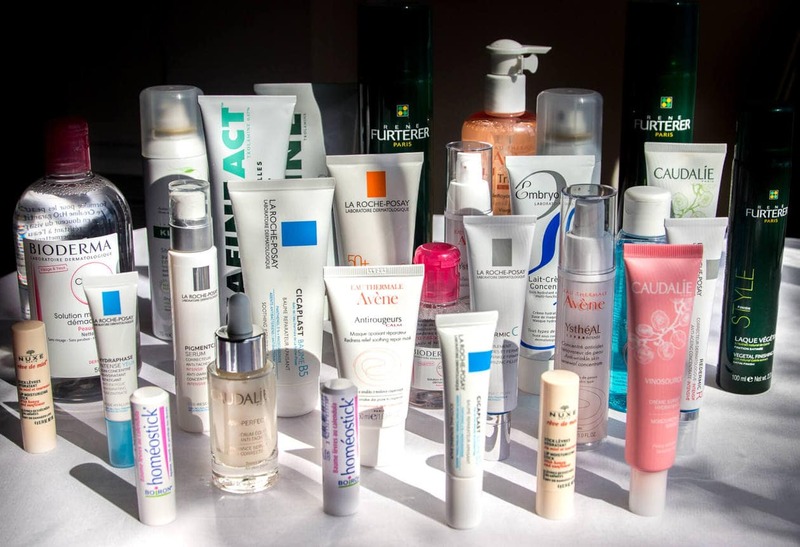 A basic, travel sized face wash. The Cleanance Gel has a neutral PH of 7.2. It’s super gentle and contains anti-inflammatory properties. I needed a new eye cream and this was only $10. It contains hyaluronic acid which absorbs 1,000 it’s weight in water and aids in a plumped up, hydrated appearance. The caffeine also reduces the appearance of under-eye bags. I purchased this last time I was at CityPharma and loved it. It contains the highest concentration of pure retinol but with no irritation. 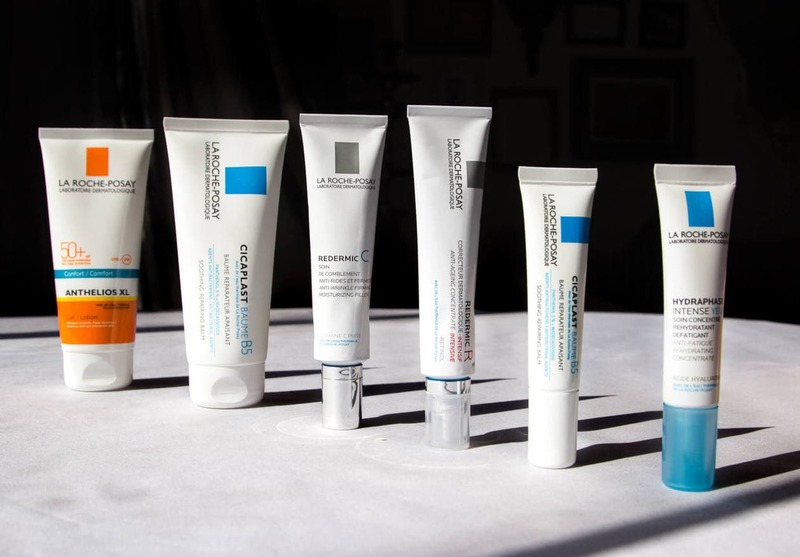 A daytime moisturizer containing fragmented hyaluronic acid which plumps and hydrates the skin. Antioxidant Vitamin C helps visibly reduce the appearance of wrinkles. Mannose hydrates to visibly smooth the appearance of wrinkles, and Neurosensine helps reduce the signs of skin sensitivity. I got this for Nick because I’ve been pushing him to up his skincare game. The Pigmentclar Serum contains Phe-Resorcinol and Ferulic Acid which reduce the appearance of dark spots. Lipo-Hydroxy Acid (LHA) provides micro-exfoliation to smooth the skin’s surface and brighten the complexion. He’s only been using this for a week (in combination with the Avene YstheAL Anti-Wrinkle Lotion) and I can already see pretty major results. I wish I would’ve bought one for myself. 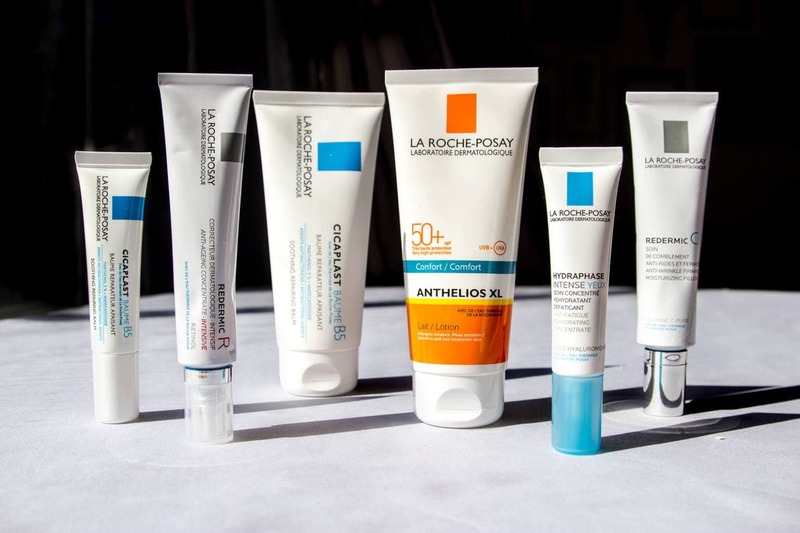 La Roche Posay makes my second favorite face sunscreen. Since I’m almost out of my favorite (Tatcha Pore Perfecting Sunscreen), I grabbed an XL version of Anthelios 50+ (for $55 USD less than the Tatcha..). I bought this last time I was in Paris and I fell in love with it. My cheeks gets irritated and this calms down it down so much. I also use it as a night moisturizer sometimes when I’m feeling really dry. The Cicaplast Baume is super thick but not greasy and you can use it on all areas of your body where you have dry, irritated skin. I got a travel sized version to keep in my kit. If someone has an allergic reaction to something, I’d apply this to calm it down. 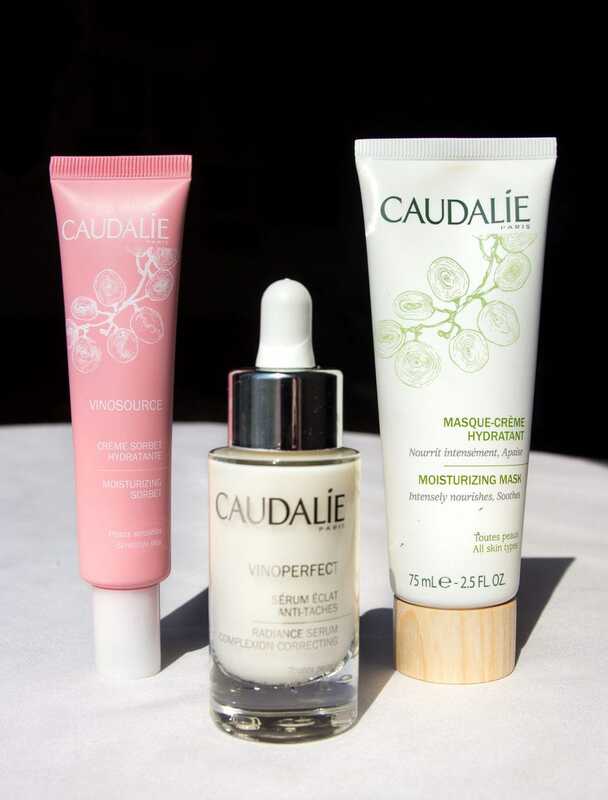 Last time I was at CityPharma, I picked up Caudalie’s Beauty Elixir but it was all I could get a hold of from this brand. The Caudalie aisle is usually the most packed in the store, so it makes it impossible to browse. This time, I went in knowing exactly what I needed. Vinosource Moisturizing gel-cream moisturizer suited for all skin types. I was in desperate need for a new daytime moisturizer so we’ll see how this does. I’ll update after I use it. Update 2019: I liked the moisturizer a lot. It was very light and perfect for daytime. It also didn’t affect the wear of my makeup. I will buy it again in Paris but I don’t think I’d pay the imported price. This moisturizing mask is said to “restore moisture levels to relieve tightness, reduce redness, and increase softness for a hydrated, dewy glow.” It makes your skin feel so smooth and hydrated. One of my new favorites. This was the most expensive product I bought at CityPharma but I’ve heard such rave reviews about this serum, I decided to take the plunge. I also saved 1/2 the money! It’s said to improve the appearance of dark spots, even your skintone, and boost radiance. Truth be told, I don’t actually need 2 more bottles of this right now but it’s kind of impossible to pass up this deal (review here on my beauty blog). 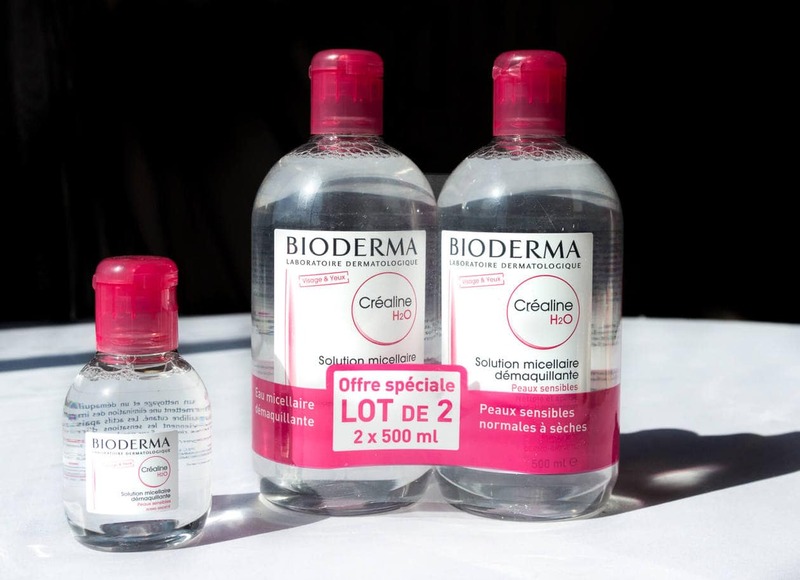 These travel sized Bioderma is almost impossible to find in the US so I always pick a few up. The Rene Furterer hairspray came highly recommended from a hairstylist friend. I was pleasantly surprised to find this two pack for less than $15, 4x cheaper than if you were to buy two bottles in the States! This is another repurchase from last time. I like this dry shampoo a lot, it doesn’t weigh down my hair and it does a really great job at soaking up the oil so I can go a few extra days without washing. Obviously. A staple in my kit (review here on my beauty blog). I purchased the pot version of Nuxe’s famous lip balm last time, so this time I picked up the stick. After only a few uses, I can already tell I like the pot much more. I’m obsessed with Homeoplasmine, I keep a tube in my kit and in my set bag so that I’m never without it. Unfortunately the tube is hard to carry around for personal use so I picked up a stick version for my purse. The stick is nothing like the creme from the tube but I really like it a lot. It’s super slippery and pretty hydrating. I’d definitely buy again. I purchased 2 tubes of Biafine last time I was in Paris and I almost finished both of them. Biafine is an all purpose, plant-based cream used to stimulate cell regrowth. It’s widely used to repair skin after sunburns but it can also be used on minor wounds, skin inflammations, or dry skin. 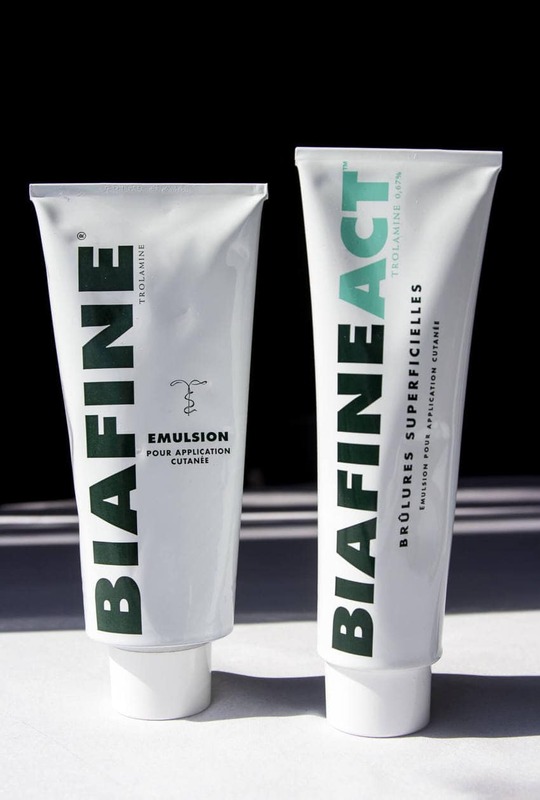 Biafine is also popular as a post-procedure cream for those undergoing cosmetic facial treatments or plastic surgery. Shop This Post (unfortunately without the savings… you have to go to Paris for that). Saint-Germain-des-Prés (Line 4) orMabillon (Line 10) are the closest metro stops. It’s a 2 minute walk from each station and City Pharma is on the corner of Rue Bonaparte and Rue du Four. What are your CityPharma favorites? Disclaimer: This post contains affiliate links which means if you click them and buy something, I receive a small commission (at no cost to you!). All profits go toward helping me run this site. Thank you for your support! I love the Vinosource Moisturizing Sorbet. I feel like my skin is smoother and do not get irritated when I’m under the sun too much. Love you post – I’m going to Paris in a month and can’t wait to shop this pharmacy. Do they only have 1 branch? Do you know if they sell Burt’s Bees anywhere in Paris? I just got back from Paris yesterday. I used your post as a guide on what to do, and you were spot on with the tips. I had my list, and I was good to go! There were so many people in there looking stuff up on their phones and asking for help from the associates, who looked like they were not really interested in helping anybody. Hi Nicole! Sorry it took me so long to respond to this. I’m so happy the post was helpful! I’m kind jealous you got to go 🙂 I could spend hours there. Bioderma: I’v been using this for 2 years and i am truly IN LOVE with it!? Hi! Love these posts! We are headed to Paris with my newly minted teen daughter this fall and are planning a trip to City Pharma. I see though that there are two locations listed on Google. The second one is in the 12th arr. Do you know if it is the same as the main location? Thank you for your help! I believe it is the same but I haven’t been so I’m not 100%. Wish I could be more help! Have fun in Paris! !